We are excited to introduce Ken Ripper as RRC President. Ken joined RRC in early June 2016. With over 10-years of experience in the wind industry, most recently as Executive Vice President at EDPR, Ken brings his extensive renewable energy experience and industry insight. At EDPR, Ken had responsibility for engineering, construction, and health and safety services. He also successfully completed over 4,600 MW of wind and solar projects. Prior to joining EDPR Renewables, Ken was the Western Region Technical Director at Reliant Energy LLC, with responsibility for engineering and construction management of combined cycle/simple cycle generation, cogeneration, and re-powering projects. Ken holds a Bachelor of Science degree in Civil Engineering from the University of Houston and completed the Advanced Management Program at the University of Chicago – Booth School of Business. He is a registered Professional Engineer in Texas and a member of the American Society of Civil Engineers. As RRC President and member of the Board of Directors, Ken is responsible for the direction and coordination of operational activities for the organization in accordance with the company’s strategic plans, goals, and objectives. Ken works closely with his fellow board members as well as the officers, directors, and managers in strategic planning, communications, and execution of the RRC business plan. He promotes and fosters RRC’s commitment to the company’s vision and values, safety, direction, and execution of objectives. 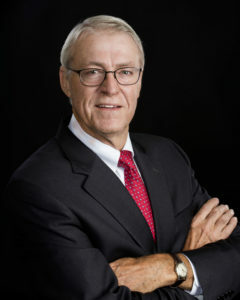 Ken’s specialties include executive leadership, project management, construction management, consulting, and project engineering with proficiency in the electric power and renewable energy industries.